Kristin helped me define my brand from my logo, to colors, to a branded unique design element for my business. She created my business cards, various clients cards and an amazing holiday card catalog. She's a super hard worker with attention to detail and is always very timely! Her creative skills and ability to conceptualize a vision and bring it to life are fantastic. I continue to hire her to do work for me not only because of all the things mentioned above, but also because of her wonderful and kind personality. I would highly recommend Kristin to anyone! Elizabeth CaseyExperienced brand/marketing manager and photographer. October 18, 2012, Elizabeth was Kristin's client. Kristin has the gift of having multiple strengths as a creative. Her strong graphic talent is wonderfully complimented by her rock solid work ethic, attention to detail and attitude of willing collaboration; a combination not easily found! Kristin was a delight to work with and manage. She always had a positive, constructive approach to work. Even under the pressure of deadlines and faced with multiple projects that needed to be addressed at once, she was graceful and effective. 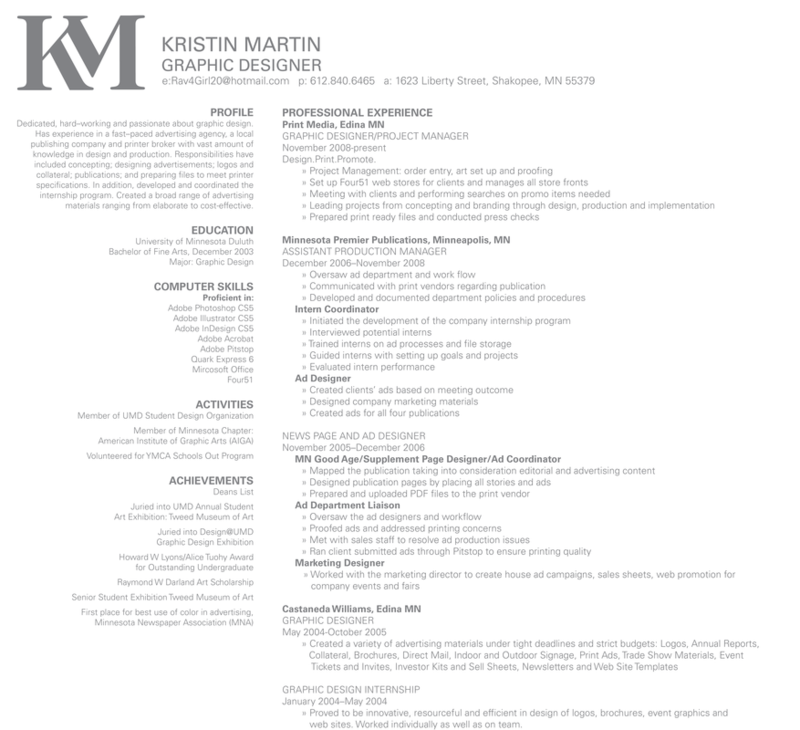 She's a skilled designer and technically knowledgeable in a variety of software. I'm glad that I have had the opportunity to work with her. Kristin was a great mentor to me at Minnesota Premier Publications. As her intern, she was always there for me and was always more than willing to help out with any questions I had. I learned a lot from my Creative Team work at MPP and I thank Kristin for it! Kristin has been a tremendous asset to MPP. Her ability to design unique and creative ads has been an added value to many of my clients. Most recently, she's helped me by designing ads for Hoigaards. This helped me to close an account I had been working on for almost two years.